When you Warcry, you gain 1 Armor. 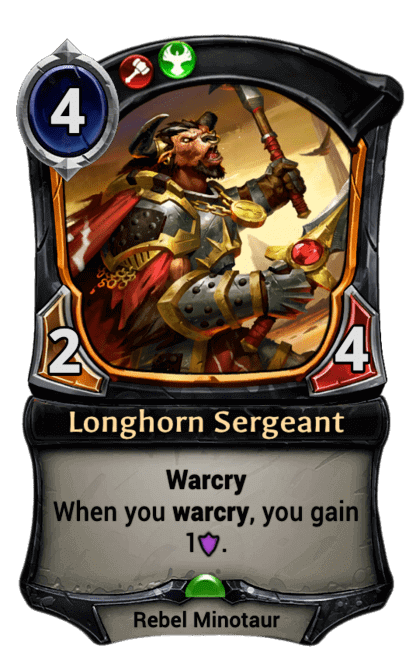 Warcry - Each time a unit or Relic Weapon with Warcry attacks, it grants a permanent bonus to the top-most unit or weapon in your deck. Even if it's a few cards down, you'll get to stack up the bonuses on it over multiple turns.